Considering how frequently people rely on Google, Yahoo and Bing to discover new products and services, search engine optimization is a critical consideration for just about every business. If you don’t take steps to maximize your search results, potential clients will likely find and patronize your competitors, instead of your business. 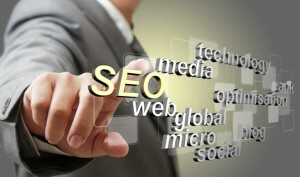 Here are six search engine optimization tips for your organization. This is among the most commonly offered pieces of advice for improving SEO results, and with good reason. It is extremely difficult for your company to improve its search results unless you make a committed effort to creating content regularly. Google and other search engines utilize complex algorithms to determine where a given website shows up when someone conducts a given search. These algorithms take many factors into account, and a website’s content is among the most important. More specifically, these search engines give priority to those websites that add new material on a consistent basis. A static website that rarely changes will be given less priority than one that is always changing and providing new content. Critically, though, the content you add to your website must be original. 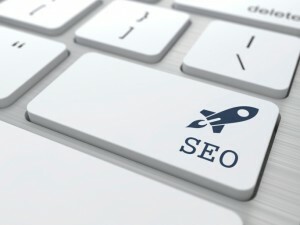 Google’s algorithms have the ability to determine whether a particular blog post or article is new or if it appeared previously on a different website. In the latter case, your website will not see much of a benefit from reposting it. By making a concerted effort to offer original content, though, you will likely see your search results improve. Another great way to improve your business’ search results, according to Entrepreneur Magazine contributor Jonathan Long, is to seek out guest blogging opportunities. At first glance, this may seem counterintuitive – after all, how can contributing to others’ websites help your own SEO? The answer, according to Long, is that guest blogging can lead to a great deal of brand exposure, which in turn can lead other sites to link back to your own. As Long explained, this natural, organic link-building is highly valued by Google, and it will significantly bump up the results for websites that have non-promotion links on other company’s websites. For this strategy to work, though, you need to look for the right venues. Specifically, try to find industry-related websites that are relevant to your business and receive a significant amount of traffic. Producing enough high-quality content to contribute to such venues may be difficult, though. 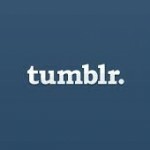 To this end, Long recommended encouraging your employees to craft blog posts that can work for these purposes, with rewards for those whose work is accepted by the most prestigious websites. This will reduce the burden on yourself for producing SEO content and, thanks to your crowdsourcing, increase the quality and volume of these materials. Keywords play a key role when it comes to SEO. If you use the right keywords on your website and use them frequently, Google will promote your page rank when people search for those terms. This doesn’t mean you should plaster such terms all over your website – Google can sense when a word is not being used organically, and will actually demote your results if that is the case. You should incorporate the right keywords into your content naturally. However, to achieve this goal, you need to know which keywords to focus on. Emphasizing suboptimal keywords will fail to exert much of an impact on your search results. To choose the best keywords, Eric Siu recommended looking at internal search data. Writing for a separate Entrepreneur Magazine report, Siu noted that whenever a visitor conducts a search on your website, this suggests that desired information is not readily available, which will likely hurt your overall effectiveness and conversion rate. By using analytics to track the most common internal searches, you can discover how to better structure or design your website. This is and of itself may improve your SEO. But you can go further by incorporating these heavily searched-for terms into your blog posts and other internal content. This will boost your results when individuals search for these terms via Google and other popular engines. Consistency is essential for any SEO improvement effort. Without consistency, your website will struggle to gain greater traction on Google and other search engines. Take, for example, the issue of keywords. As mentioned, keywords play a major role in determining page ranks. But in order to leverage keywords to your advantage, you must focus on these phrases in your content regularly, not sporadically. A few keyword-heavy articles here and there will not improve your results. These terms must play a consistent role on your website’s content. Similarly, you need to be consistent with your content creation and posting. Bursts of activity do not reflect nearly as well with Google’s algorithms than a regular, steady stream of content. You should also strive to achieve a consistent tone and writing style in your website content. You should always aim to develop articles, stories and blog posts that are informative, entertaining or, ideally, both, as only content with such traits will really engage and attract your readers. As time goes on, more and more readers will appreciate the content your producing and visit your site specifically to consume it, which will have a very positive impact on your search results. However, if you don’t offer a consistent type of reading experience, then you’ll have difficulty gaining a loyal following. If the content is seemingly random, then it won’t really connect with any demographic. Lastly, it’s important to note the importance of consistency in terms of grammar, spelling, structure, citations and other writing conventions. If you become sloppy in this area, your content will appear unprofessional and unappealing. This will have a negative impact on your company’s perception, site visits, searching rankings and more. Page speed can exert a powerful effect on search results, as Search Engine Watch contributor Kristine Schachinger recently reported. If it takes a long time for your website pages to load for users, Google will detect this problem and diminish your search results rank as a result. Schachinger noted that this is particularly important when it comes to mobile web browsing, which is becoming increasingly popular among consumers in every segment. Schachinger recommended using the Google Page Speed tool to address this issue. This is a website, provided by Google, that allows you to detect the speed of any URL. The writer asserted that a score between 85 and 90 should be seen as a baseline – anything below that is problematic. One final piece of advice, also offered by Schachinger, is to conduct a site audit annually. 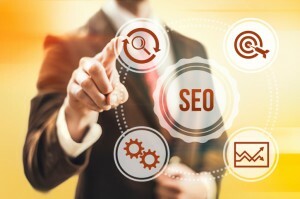 As she noted, SEO best practices are constantly evolving. If you do not keep up with these changes, you may fail to adjust to account for critical new considerations. By conducting a site audit on annual or semiannual basis, you will be better able to spot potential problems that have cropped up in recent months, the writer explained.